Club Deportivo Valdivia (Liga Nacional) signed 27-year old American swingman Amir Carraway (198-95kg-91, college: Cal State - Chico). 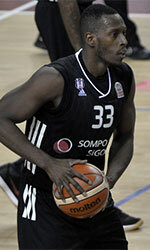 He played last summer at Cimarrones in Colombian LPB league. Carraway managed to play in three leagues in two countries last year. In 32 LPB games he had very impressive stats: 15.5ppg, 5.2rpg, 2.7apg and 1.5spg in 2017 season. He helped them to win the league title. Carraway also played 6 games in Liga Sudamericana where he recorded also remarkable stats: 15.5ppg, 3.2rpg, 3.2apg, 1.2spg and 1.0bpg in 2017 season. The last season he played at ETB Wohnbau (ProA) in league. In 13 games he averaged 4.5ppg and 2.0rpg in 2016-17 season. 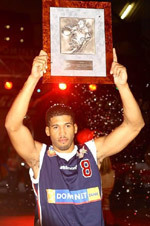 Carraway was voted Latinbasket.com All-Liga Sudamericana Honorable Mention in 2017. He has played also professionally for other German teams like SC Rist Wedel and SC Rasta Vechta. Carraway attended Cal State - Chico until 2014 and it will be his fifth season as a professional player.